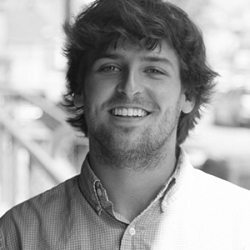 MEMPHIS, Tenn. — inferno, a full-service advertising, marketing, design, and public relations firm, today announced the addition of Jackson Knight as Associate Copywriter to its award-winning creative team. Knight reports to Michael Overton, Creative Director and Agency Partner. “Throughout his internship, Jackson proved to be a great addition to our copywriting department. And, just as importantly, Jackson fit right into our culture. We’re excited to have him officially join the inferno team,” said Michael Overton. As Associate Copywriter, Jackson is responsible for writing, revising and editing copy as directed by staff in the creative and account departments, as well as demonstrating knowledge and proper application of the brand standards and brand voices of clients in all projects. Previously, Knight worked as an intern on inferno’s creative team for 3 months. He attended Washington and Lee University, where he majored in Psychology. While enrolled in university, Knight spent a summer studying abroad at Universidad Internacional Menendez Pelayo in Sevilla, Spain. Additionally, Knight was a member of Phi Delta Theta Fraternity throughout his college career where he served as Secretary for two years, and as Philanthropy Chair for one year.